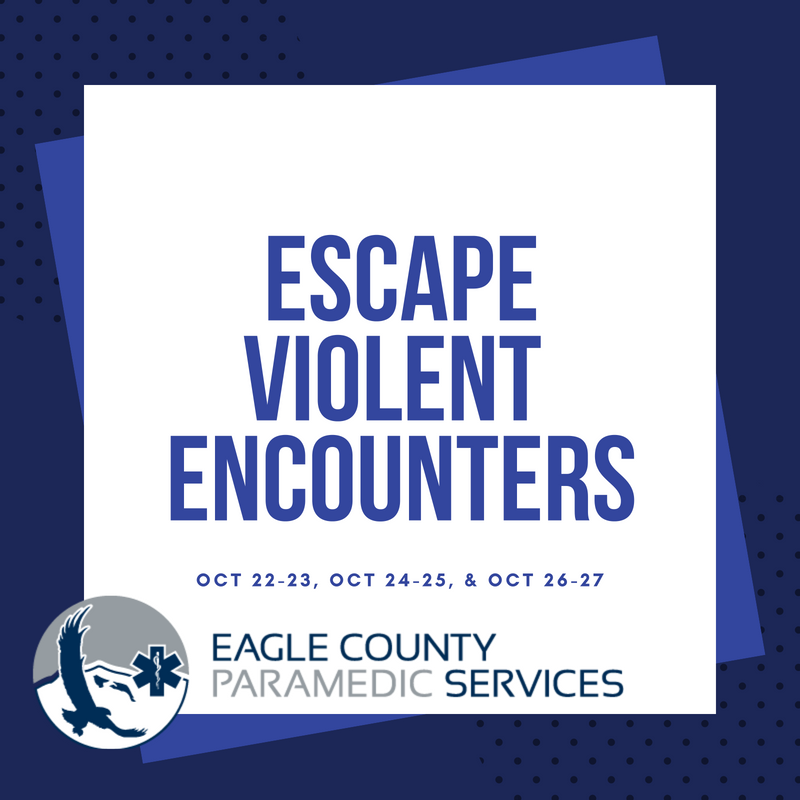 Eagle County Paramedic Services will be hosting an “Escape Violent Encounters” program for EMS providers. There are three sessions Oct 22-23, Oct 24-25, and Oct 26 -27. Instructors will be coming from Denver Health and availability is limited. Please contact Will Dunn – wdunn@ecparamedics.com if you are interested in attending.